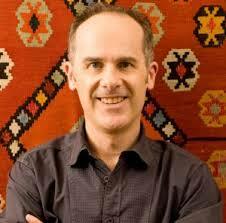 Tom Gleisner is an Australian director, producer, writer, comedian, occasional actor and author. Gleisner was educated at Xavier College in Melbourne, Australia. 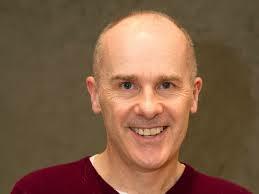 He was a law student in University of Melbourne when he began working with Santo Cilauro and Rob Sitch in the 1983 Law Revue Legal A.I.D.S. Gleisner wrote and performed in the 1985 Melbourne University Revue Too Cool for Sandals, and was credited as a writer on The D-Generation (1986–87) but not as a regular performer. He did, however, turn up on numerous occasions as a guest star (he featured more prominently in the second season, to fill in for Rob Sitch who was juggling writing/performing for the show with his studies), and on the album The Satanic Sketches. Gleisner would go on to perform in the D-Gen’s late-eighties Triple M radio show (and its spin-off album The Breakfast Tapes), and then starred in, and wrote for, ABC’s The Late Show (1992–1993). He is remembered in The Late Show as the newsreader of Late Show News, the co-host of Countdown Classics with Jane Kennedy and the interviewer of stuntman Rob Sitch in Shitscared, although he appeared in various other sketches (including a recurring role as brainless bush-traveler "Wallaby Jack"). When The Late Show finished, Gleisner starred as mute cop Poncho in 1994’s ABC show Funky Squad, a comedy which he co-created and served on as one of the writer/producer/directors. 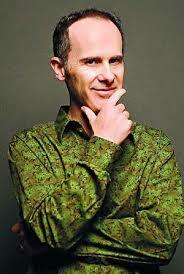 A co-founder of Working Dog Productions (along with Santo Cilauro, Jane Kennedy and Rob Sitch), Gleisner was also a writer/producer/director on Frontline which ran on the ABC from 1994 until 1997. He also had a minor role in the programme as photocopier repairman Colin Konica. Gleisner co-wrote the Working Dog films The Castle (1997) and The Dish (2000). He also hosted and co-executive produced the popular Network Ten program The Panel, (1998–2003). Gleisner has also appeared with Rob Sitch as a presenter of the ABC TV fly-fishing documentary A River Somewhere (1997–98). He also wrote and directed the Glenn Robbins comedy, All Aussie Adventures (2001–02), is the judge on the improvised comedy program Thank God You're Here (2006–2009), and co-wrote/co-produced Working Dog's The Hollowmen (2008) and Utopia (2014). 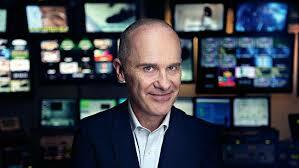 Gleisner currently hosts the Channel Ten topical quiz show Have You Been Paying Attention?.